I wanted to get back to one motorcycle. And, I’ve done it. 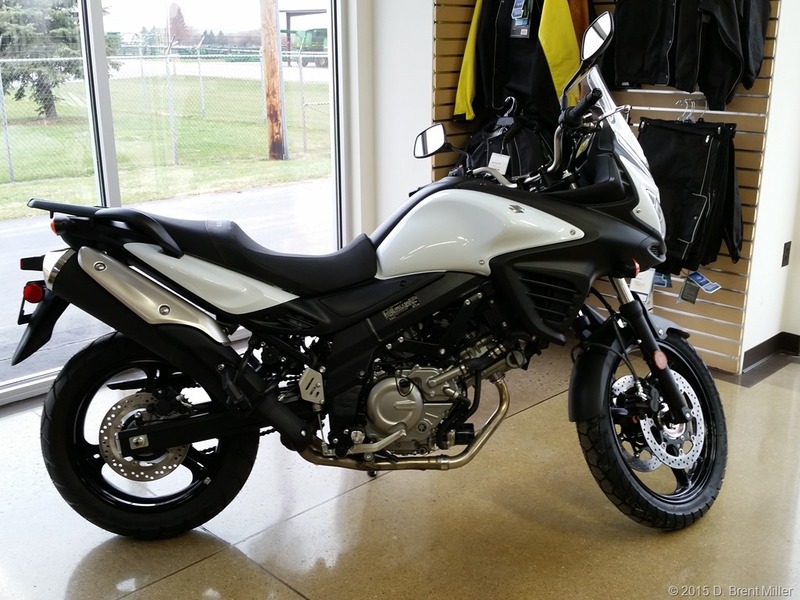 Say hello to the new 2015 Suzuki V-Strom DL650 ABS. Purchased at Clinton County Motorsports, Wilmington, OH. I do not give motorcycles names, but this one is my “50 Years of Motorcycling” motorcycle. That’s right, I started riding when I was 15 and that was 50 years ago. Congrats Brent. You have once again proven yourself a wise man. Congratulations, Brent! 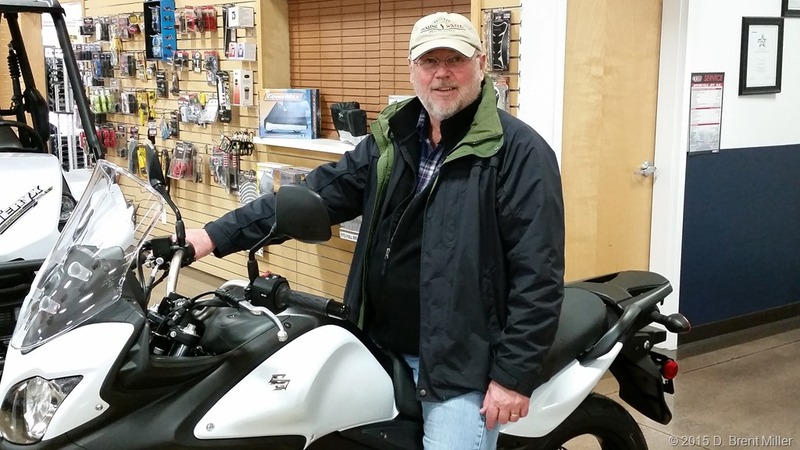 I’m a bit surprised given the relatively recent arrival of the KLR650. My own motorcycle buying habits must be rubbing off on you. I’ll look forward to reading about your next adventures once your weather there becomes civilized again. Hi Brent do you still upload on YouTube have not seen anything for a while. I didn’t know about this site I will need to look for your activities in more places. Alway enjoy what you put up.